We are Sherrill Manufacturing and our brand is Liberty Tabletop, a family owned and operated business co-owned by Matt Roberts and Greg Owens. Created with pride in our Sherrill, N.Y. factory, which has been producing quality flatware for more than a century, Liberty Tabletop offers a variety of patterns designed to satisfy almost any taste. Now the only manufacturer of flatware in the United States of America, Liberty Tabletop creates high-quality flatware at a competitive price. 360 Cookware is top-of-the-line clad metal cookware, unlike any cookware you’ve ever experienced. Manufactured in the greenest facility in the country, out of U.S. Steel, our cookware is one of the finest in the industry. By recognizing the rich heritage developed by 450 years of veteran cookware manufacturing expertise in America, we have expanded upon their technology, updated the design and developed a product for the next generation of cooking enthusiasts. While 360 Cookware can be used for traditional cooking, it is also specially designed for vapor cooking. Vapor® Technology turns your cookware into a mini-oven, locking in vitamins and flavor, eliminating the need for added fats and oils – leading the way to healthier, tastier meals. Our unique cooking system heats your food faster and at lower temperatures – allowing for energy consumption to be significantly less than conventional cookware. American Made Dinnerware Since 1925 . At HF Coors not only do we take pride in our products and what we do, we even offer a no chip warranty & a “No Fault Breakage Warranty” you can also purchase. HF Coors is lead free, microwave, oven, broiler, freezer and dishwasher safe. Made in USA from scratch! Smile Drinkware USA are Made in USA. They’re made of Eastman Tritan Co-polyester, a BPA-free material that is dishwasher (top rack), microwave and freezer safe. Smile Drinkware USA are insulated to keep your hot or cold drinks at the perfect temperature. They come in three useful sizes: 12oz, 16oz and 26oz, and with lids and straws you can mix or match. 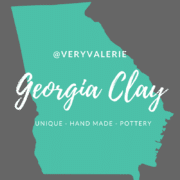 Ask about custom tumblers! Lifetime guarantee. At last, home is where the Case is. 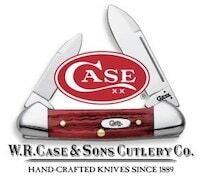 Case’s Household Cutlery collection includes a seven-piece set complete with Walnut handles and Tru-Sharp™ surgical steel blades in an hardwood storage block. If you make or sell American made kitchen products, knives, flatware, pots, dishes, appliances, etc… and would like us to feature your business on this page, fill out our application by clicking the GET LISTED button on the right, and a MAM rep will respond within 48hrs.